Taiyo Yuden's 8X speed DVD-R disks provide exceptional quality for general use and feature white surface configurations. 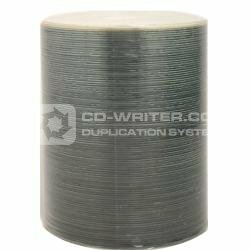 The extraordinarily versatile 8X DVD-R media can be used with the new higher-speed DVD writers from Sony, Pioneer and other leading manufacturers, as well as upgraded 2X writers from Apple, Pioneer and others. Taiyo . Yuden . 8X . White . thermal . printable . DVD-R . for . Everest . Shrink . Pack . of . 100 .